Headlines, juxtaposed, stare back at me in the morning paper. I am reading it, still shaken by the events of the Abbas Town Blasts. The sky on this Tuesday morning is tinted a strange reddish strain. Maybe it’s just in the minds of traumatised Karachiites who cannot get over the blood spilled in Abbas Town – blood that has still not dried. Broken toys and burnt textbooks scattered around. Glass panes through which they used to see the world are now lying as broken shards. Torn dupattas, molten electric wires, blistered dreams and mangled photographs of families smiling on Eid decorate the ground. Still, all is not lost! We, the Karachiites, right from Dalmia to Defence, are doing what should be done, and what little is in our power. We stage peaceful protests and raise awareness and collect donations in cash and kind. Our students are tear-gassed and baton-charged and arrested for protesting because the real criminals are a league above – they cannot be laid a finger upon. Now you feel the pain right ? ..These similar monsters when they unleashed their fury on mumbai ,pune in India you were all asking where is the proof and our evidence will not stand in your court etc statements thrown incessantly..Now lets see if these monsters are caught if they will stand accused in your esteemed court now ?.. If it is a blame game, then what is it when almost it is a word of mouth that whatever is happening in Karachi and Balochistan is being funded and executed by India, as the response of Gawadar port handing over to China. And to me, your comment makes the point more clear, as I can simply say that your comment is purely the knee jerk reaction. Terrorism is the global issue, not only Pakistani. If you are so concerned about Mumbai thing, then what do you have to say for Tamil tigers, Kashmiris, Issues with China at border. Why its always India , with whom it’s nighboring countries has problems. Be it Pakistan, China, Sri Lanka, Iran. I am not saying we don’t have good people in Pakistan. It just seems like the bad guys all over the good guys. Our leaders only care about votes and power. They don’t care about Pakistan or Pakistanis. How many more killings before we actually do something about it? 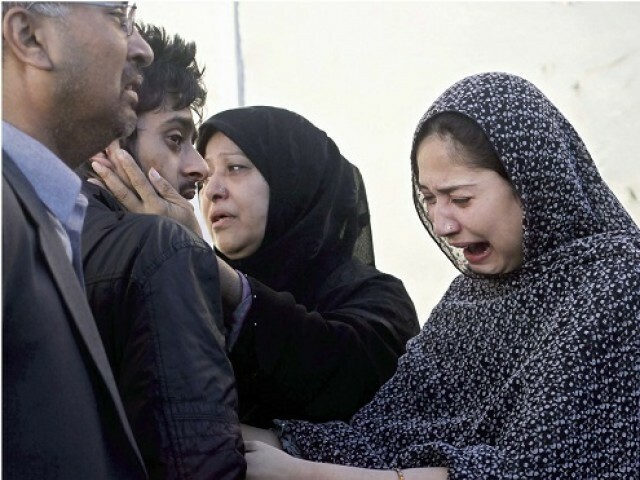 No one has claimed responsibility for the attack in Karachi and that makes it highly suspect. I firmly believe there is an international hand involved in the Karachi attack but unless our security agencies get their act together there will be no solid proof and hence no stopping these kind of attacks in the future. The time has finally arrived, to do something, to show that we are not ready to be divided on the basis of so called sects and religious belief’s. The time has arrived that will bring a positive change, the ruler’s needs to be hanged for the massacres, happening in Karachi, Quetta every where…They are the ones who should be thrown out of the country…. Extremely moving piece writtem by you. Why its always India , with whom it’s nighboring countries has problems. Be it Pakistan, China, Sri Lanka, Iran. The sentiments of all heart broken Karachiites expressed with amazing clarity and grace. As long as humans identify other humans in terms of religion, and not as humans first, there will always be schism. Religion in this country in particular more than perhaps any other subject has been the reason for the mayhem that we witness. If Pakistan was created for a certain religion, (any religion) than it is the wrong reason for creating a country. Humans always come first, everything else is secondary, therefore humanity always prevails over every religion. 65 years is a long period of time, a life span. Pakistan’s can judge for themselves whether this country has been what it was created for. Pakistani’s have to ask and answer honestly the following questions. 1. Are the Muslims living in India better off.? Or are the Muslims in Pakistan better off?. 2. Do Muslims in India have a better future than the Muslims in Pakistan.? 3. Given the choice would Muslims from Pakistan rather settle in India or would Muslims from India settle in Pakistan for a better future.? 4. Are Muslims safer in India, or are Muslims safer in Pakistan?. 5. Is there a Taliban, extremist phenomenon in India, which has had support of both the government and the people, as is in Pakistan.? 6.which country is responsible for starting wars between the two?. Thank you for sharing this story of heartache and courage. I live in the USA and cannot begin to comprehend the horror that is taking place in your country. 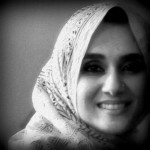 Your blog puts a name and face to both the suffering and courage of the people of Pakistan.